ÅF in Switzerland continues its support of the Xayaburi Hydropower Project through the final stage of the construction. A river diversion has been started - a great milestone in the project. ÅF in Switzerland continues its support to the Developer and to the EPC Contractor of the Xayaburi Hydropower Project through the final stage of the construction. The total values of the agreements signed by ÅF for this project is presently close to 13.4 million Swiss Francs. 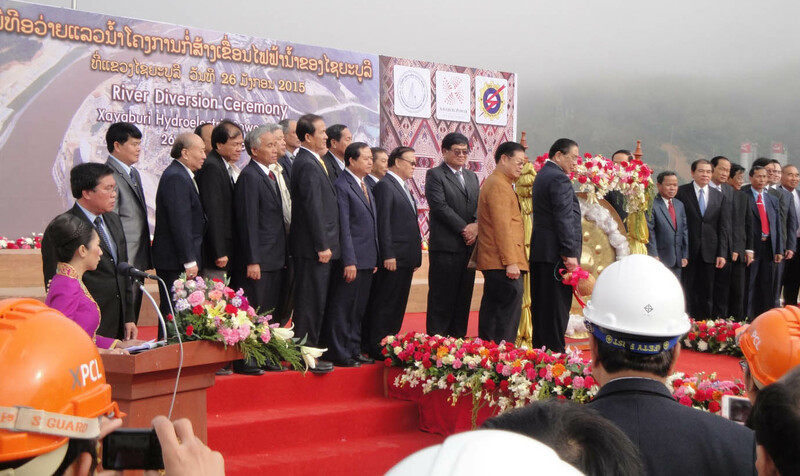 The project is a 30 m head run of river plant, the first being built across the Mekong River in Laos. The project include a double navigation lock, a 47 500 m3/s spillway, an intermediate block separating the spillway from the powerhouse, a 1 260 MW powerhouse, a 500kV switchyard and 200 km long transmission line to Thailand. The project also includes a 115kV switchyard for power supply to Laos, and state of the art fish passing facilities arranged in the intermediate block, in the powerhouse and on the left river bank. In addition to its long hydropower experience and knowledge of the area, ÅF was initially chosen thanks to the good relations developed with the same client in another Laos project. Then the good services provided in the initial stages led the client to keep ÅF’s services all along the following steps of the project implementation. Study of alternative project arrangement, optimisation studies, selection of the proposed layout. 2nd Stage: construction of the second stage of the Intermediate Block, of the Powerhouse and of all Left Bank Structures, with the river diverted through the spillway. The river diversion operation started on January 26, when the water started flowing through the spillway, and will be completed in early February 2015 with the completion of the closure dike across the river. If you want to know more about the project, please contact Dieter Müller.